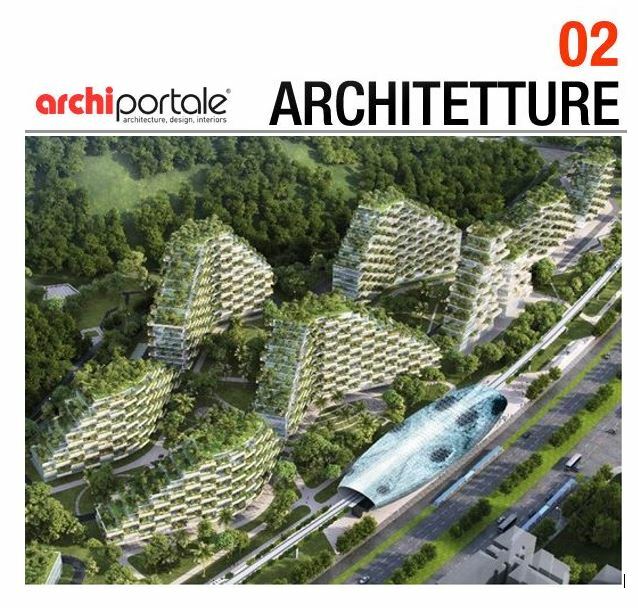 Stefano Boeri Architetti Milan/Shanghai with Shanghai Tongyan Architectural and Planning Design Co. Ltd. 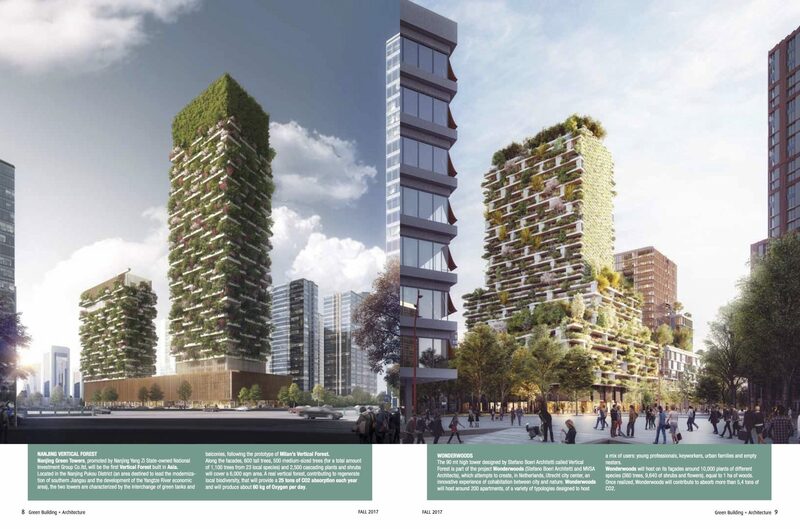 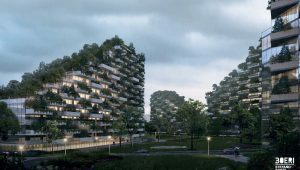 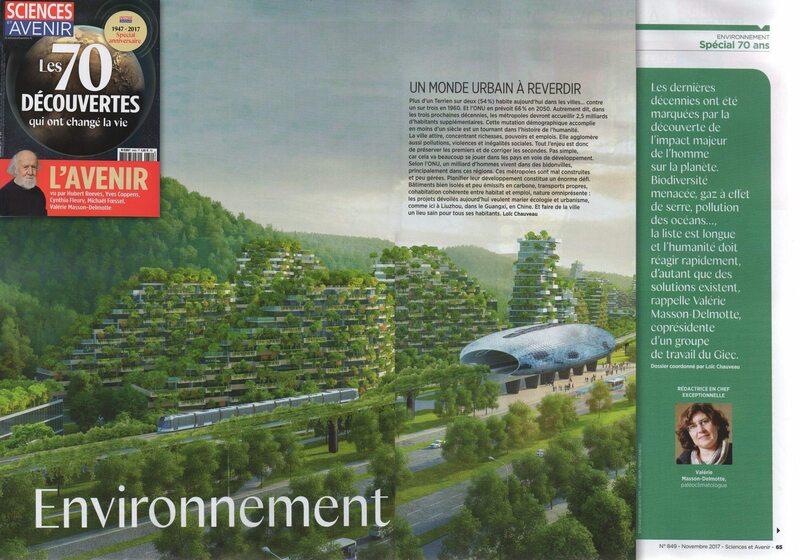 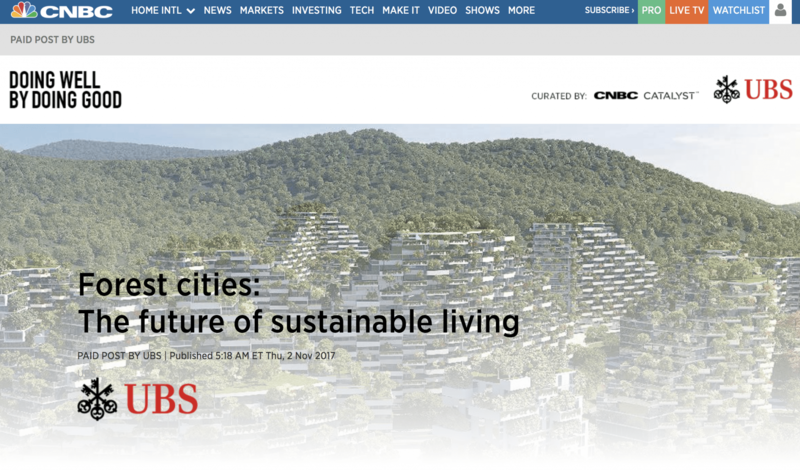 The Forest City project, presented for the first time at the COP 21 international conference in Paris in 2015, is a derivation of the broader theme of Urban Forestry, which has always ben the focus of Stefano Boeri Architetti’s research. 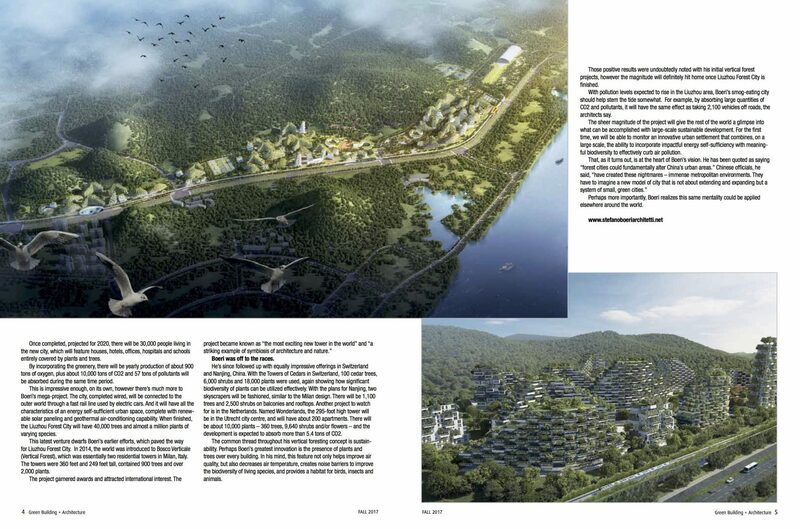 The development of urban and architectural models of environmental regeneration, demineralization of the soil and increase of biodiversity has led to the conception of a new generation city, able to become a model of sustainable growth at a global level, starting from China. 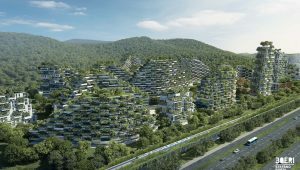 In fact, China is the world’s country with the highest rate of urbanization, with 14 million inhabitants migrating each year to cities. 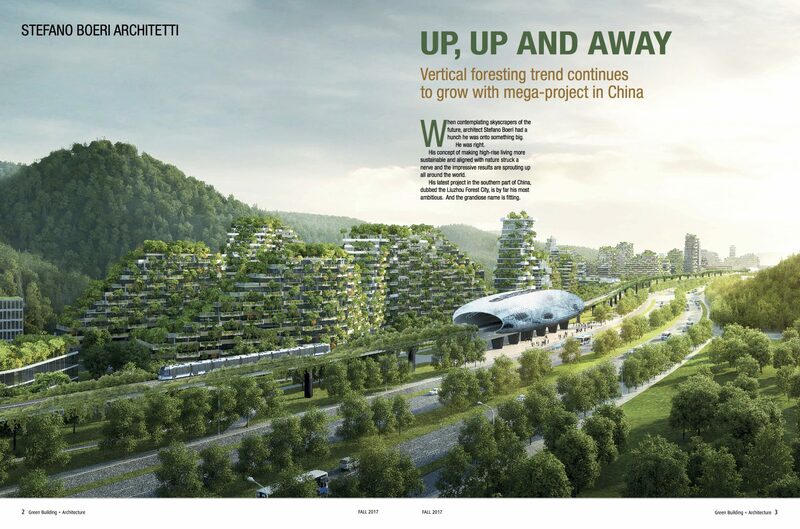 From 2015 Stefano Boeri Architetti is engaged in the study and design of prototypes of Forest City in different regions of China, from the Northern part – where Shijiazhuang is located – to the South, where Lishui is. 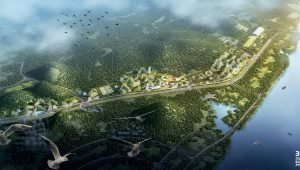 In 2017 Liuzhou Forest City Masterplan, the urban settlement fighting atmospheric pollution was approved by Liuzhou Municipality Urban Planning. 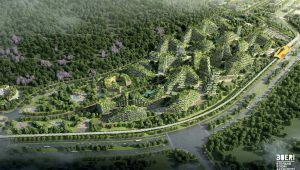 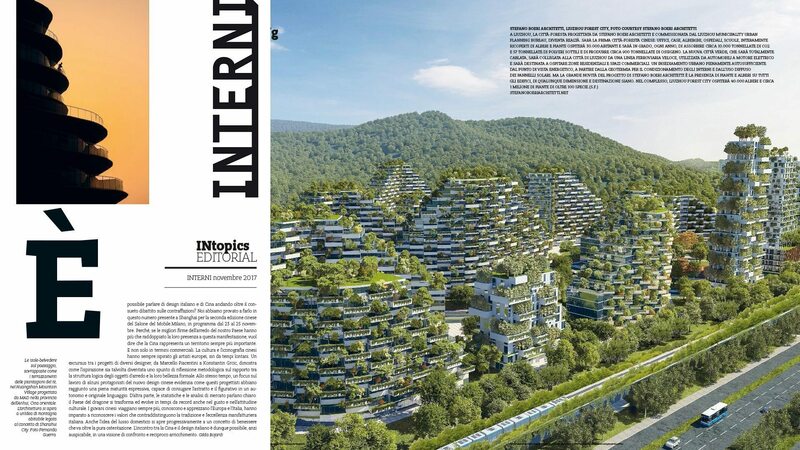 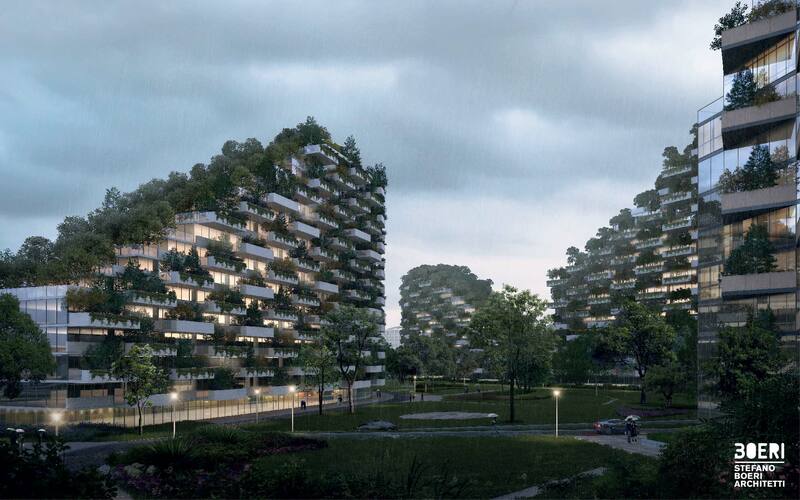 The first Chinese Forest City by Stefano Boeri Architetti presents offices, houses, hotels, hospitals and schools are entirely covered by plants and trees. 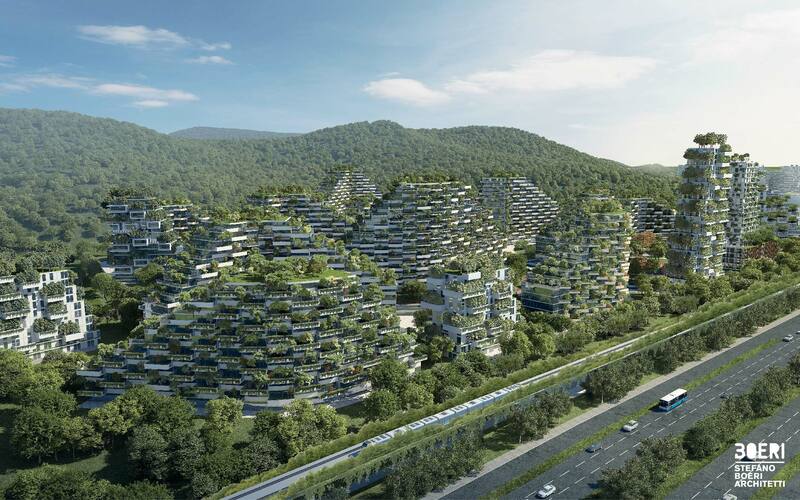 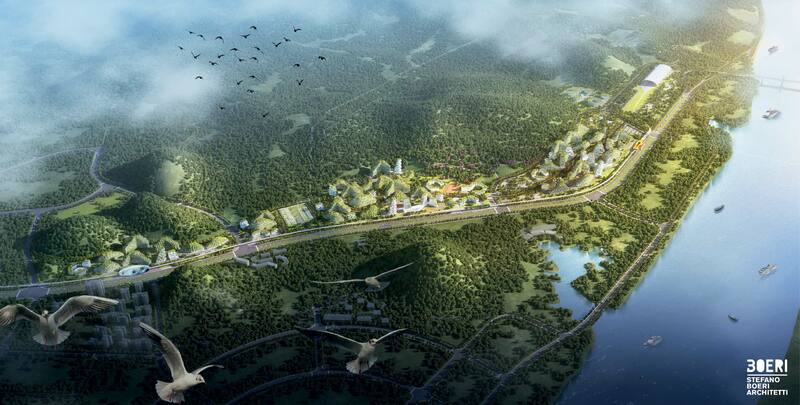 Liuzhou Forest City will be built in the north of Liuzhou, in the mountain area of Guangxi, in the southern part of China; in an area that covers 175 hectares along the Liujiang river. 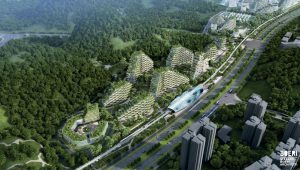 The new green city, entirely wired, will be connected to Liuzhou through a fast rail line used by electric cars and will host various residential areas, commercial and recreational spaces, two schools and a hospital. 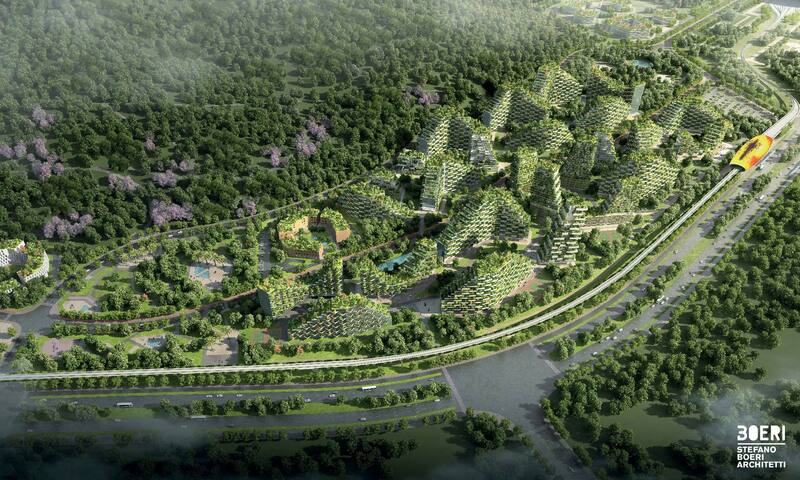 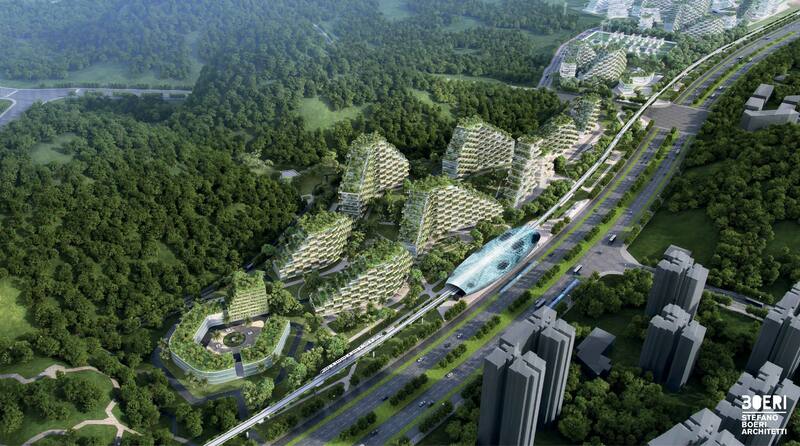 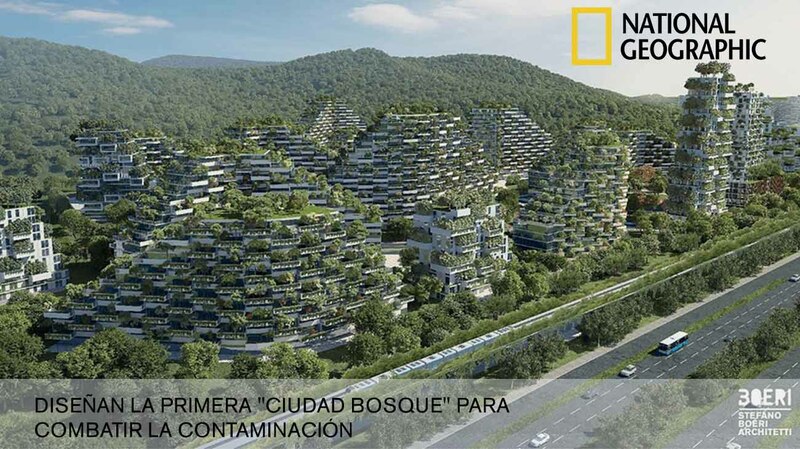 Liuzhou Forest City will have all the characteristics of an energy self-sufficient urban establishment: geothermal energy for interior air-conditioning and solar panels over the roofs for collecting renewable energy.